Kuwait - 2013 -Kuwait Al-Sharq Fish Market. 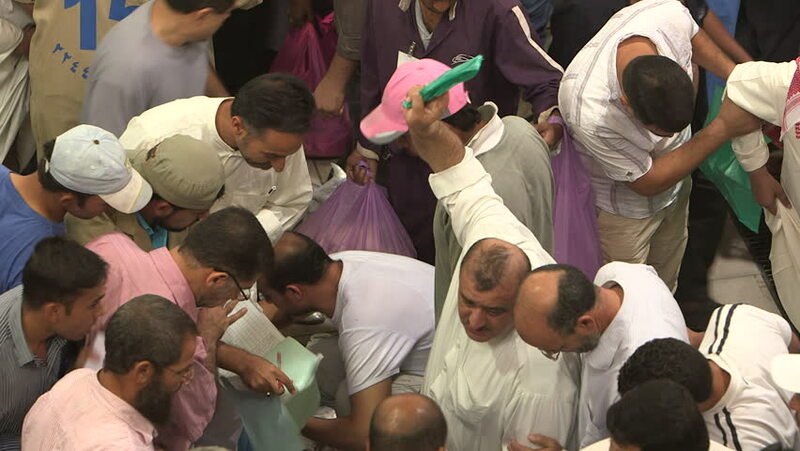 Medium bird's eye view of fishermen, traders and customers bidding and haggling at the fish auction. 4k00:16DELHI, INDIA - 17 OCTOBER 2014: Muslim men wash their legs, arms, and face before attending Friday prayer inside the Jama Masjid, the Friday Mosque, in Delhi. hd00:10KIEV, UKRAINE - JUNE 15, 2014: People buy burgers on street food festival. 4k00:16Xanthi, Greece - February 18 2018: Carnival parade participants marching in costumes. Every year teams parade on the streets of Xanthi dressed in various thematic outfits. 4k00:16BUKIT MERTAJAM, MALAYSIA - MARCH 30, 2018: Crowds get powder blessing from priest.